"I believe that non-profit organizations are the mainstay and lifeblood of our community and deserve the best possible service we can provide." Lori Elliott joined Wanner Associates in June 2006 as our registration coordinator. Today she brings her professionalism, tenacity and resourcefulness to every project she encounters. She serves as Associate Executive for the PA Society of Land Surveyors, Managing Director of the Chiropractic Fellowship of Pennsylvania, and Association Executive for the Pennsylvania Academy of Audiology. 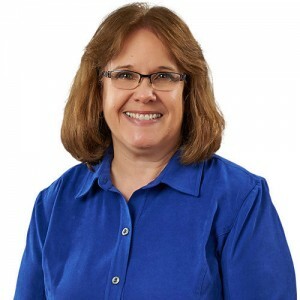 Lori has over 30 years of administrative experience, and over 15 years of experience working with non-profit organizations as both a volunteer and staff member. Among her career accomplishments, Lori is proud to have secured over $500,000 in grant funds for the PA State Snowmobile Association. She was also instrumental in establishing and streamlining academic assistance procedures for the UNC School of Medicine and in working with teachers to create a classroom-sharing program to enroll wait-listed children in afterschool programs in the Chapel Hill-Carrboro City school district. Lori is actively involved in her community as a volunteer board member. She is a flutist of the West Shore Symphony Orchestra and a performing member of the Carlisle Musical Arts Club and the Wednesday Club of Harrisburg. You can even find her performing in various smaller chamber ensembles, as well as traveling, gardening, bird-watching, and spending time with family.